Reportedly, BSP supremo Mayawati had indicated to party leaders last week that she will not contest the upcoming elections but will focus on the party’s campaign across the country. लोकसभा चुनाव नहीं लड़ेंगी मायावती. 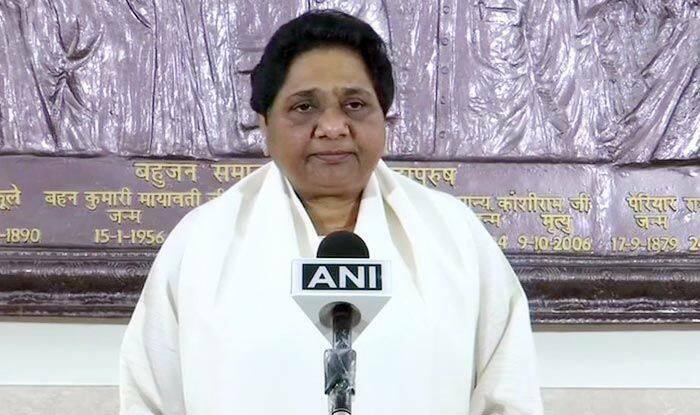 Lucknow: Ahead of the Lok Sabha elections 2019, Bahujan Samaj Party (BSP) chief Mayawati said on Wednesday that she won’t be contesting this time. “I will not contest the Lok Sabha elections,” said Mayawati, as reported by ANI. Reportedly, the BSP supremo had indicated to party leaders that she will not contest the upcoming elections but will focus on the party’s campaign across the country. Mayawati will kick off BSP’s national campaign from Bhubaneswar on April 2. The BSP chief will also campaign for Samajwadi Party candidates across the state, including patriarch Mulayam Singh Yadav who is contesting from Mainpuri. She is also scheduled to address rallies in Kannauj, Firozabad and Badaun from where Dimple Yadav, Akshay Yadav and Dharmendra Yadav are contesting, to give a boost to the alliance campaign. On an earlier occasion, Mayawati had said that as she was the party’s only star campaigner, it will be not possible for her to focus on a single constituency. Mayawati, Samajwadi Party (SP) chief Akhilesh Yadav, and Rashtriya Lok Dal (RLD) leader Ajit Singh will hold 11 rallies jointly in Uttar Pradesh including in Prime Minister Narendra Modi’s constituency Varanasi. Sharing their plans, SP Secretary Rajendra Chaudhary had said, “The leaders will address a total of 11 rallies in the state beginning on April 7, the first day of Navratra. The last will take place on May 16 in Varanasi.” The first rally would be organised at Deoband on April 7. The three leaders will also hold rallies for the candidates of the alliance in Badaun on April 13 and Agra on April 16. Dharmendra Yadav, a cousin of SP chief and former Chief Minister Akhilesh Yadav, is contesting from Badaun. The joint rally of these three leaders had been planned in Mulayam Singh Yadav’s constituency Mainpuri on April 19. In 2014, the BSP had contested 503 Lok Sabha seats but won none with a country-wide vote share of 5 per cent.